Andra Davis of the Denver Broncos poses for his 2009 NFL headshot at photo day in Denver, Colorado. 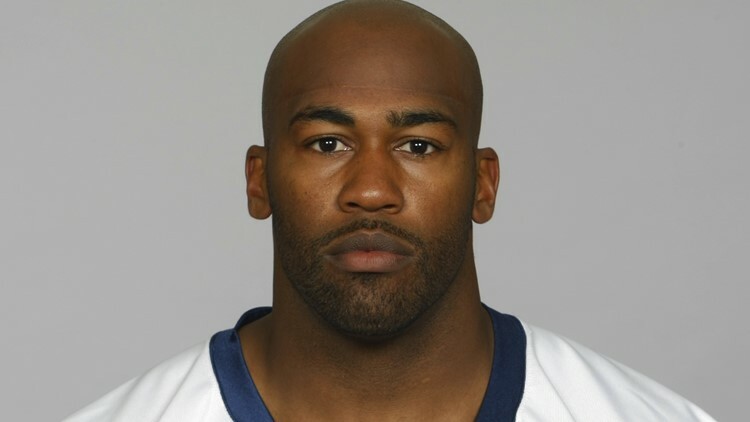 Former Denver Broncos linebacker Andra Davis faces charges for assault and battery following a December 12 incident at a girls basketball game between Regis Jesuit and Grandview High School. A former Denver Broncos linebacker faces charges for assault and battery in wake of accusations that he strangled a Regis Jesuit High School athletic director after his daughter was ejected from a rivalry basketball game. Andra Davis, 40, received a summons for the charges expected against him on January 4, according to court documents obtained by 9NEWS. The incident occurred on December 12, at the end of what one police officer described as a “physical and heated” game between Regis Jesuit and Grandview High School. Three off-duty uniformed officers were asked to work the game ahead of time due to the intensity of the matchup the year before, the Aurora Police Department said. In the police report, one of the officers said Davis became agitated when his daughter – who plays for Grandview – was ejected for punching a Regis player late in the fourth quarter. That’s when witnesses said Regis Girls Division Athletic Director John Koslosky got off the bench and tried to separate the two teams, Aurora Officer Francis Fania wrote. Cooley also wrote Davis was seen jumping “over several people” to get to the court. After the game, Fania said Grandview fans were yelling at Regis staff as they made their way out to the locker room. As he escorted the Regis coaches to the locker room, Fania said he “heard a commotion” and turned around to see Davis grab Koslosky with both hands around his neck. Fania said he and other Grandview fans broke up Davis and Koslosky, who was escorted to the locker room. He received medical attention on the scene and drove himself to the hospital. Police said Koslosky sprained his pectoral muscle during the assault. Investigators would go on to watch a video posted by Regis students of the incident that preceded the attack. According to court documents, detectives said Koslosky was seen stepping between Davis’ daughter and a Regis player. Davis is due in court on February 8.